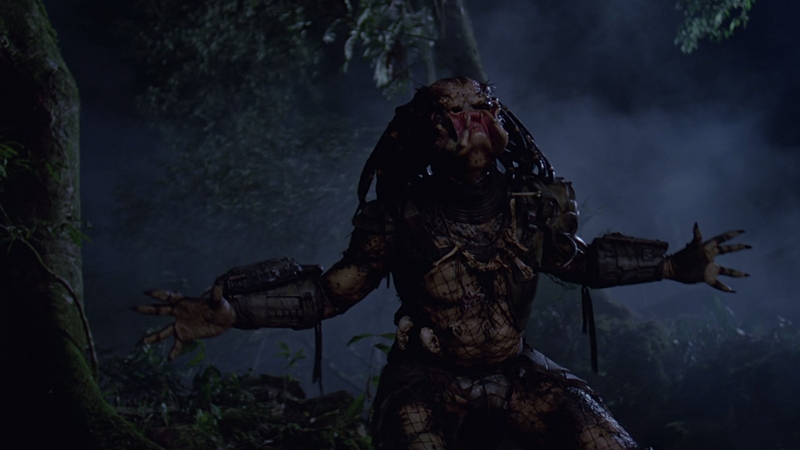 After chewing up an allowance of camera hogging one liners, Predator shrinks a band of steroidal induced special forces down to hunted animals. 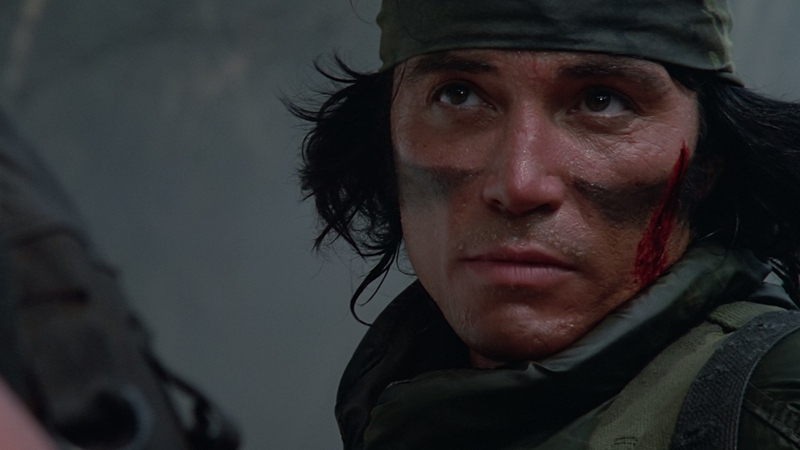 Joel McTiernan’s sweaty direction in equator tapping Mexican jungles provides an animalistic showdown after sputtering about in muscular driven Vietnam metaphors. 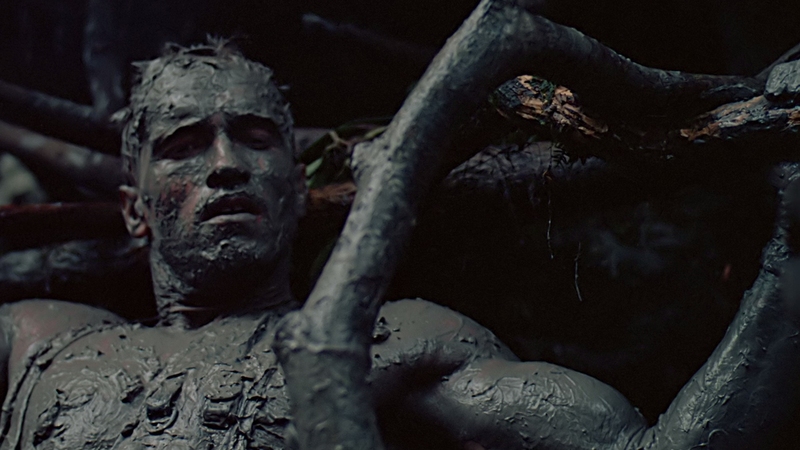 Predator is a reactionary film, but first a summer drizzled, tobacco spit launching slice of masculinity – thus designed for wide macho appeal. Brain splattering action drops onto an indistinguishably vine tangled favela; it is a hokey backdrop likely rejected from Rambo yet here inexplicably coated in fireball producing fuel so South American guerrillas can be forcibly ejected from watch towers in slow motion. 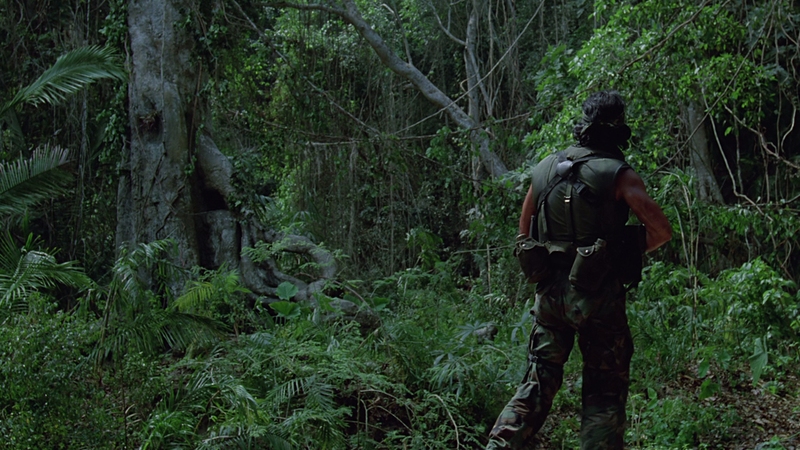 Brothers Jim and John Thomas construct a script residing in loose Vietnam analogies, cloaking Predator’s title threat in trees where the creature displays an inordinate amount of comparative comfort. 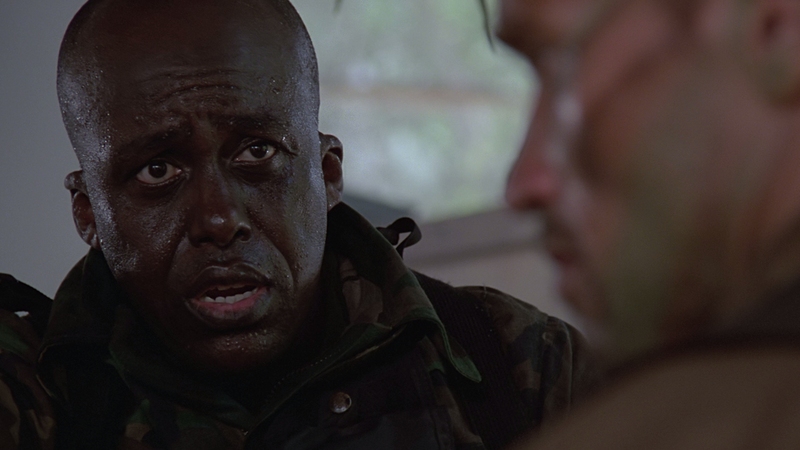 Hokey naming conventions scatter veterans Dutch (Arnold Schwarzenegger), Mac (Bill Duke), and Blain (Jesse Ventura) across this CIA ordered mistake, characters who slip into wartime distress as open land advantages are shuttered by foliage. 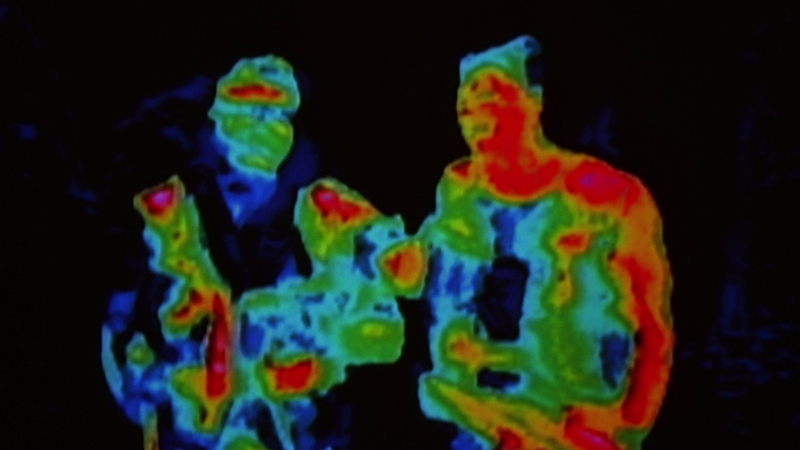 Coated with testosterone or not, Predator weaves this multi-cultural band of American natives and immigrants into strenuous conflict. 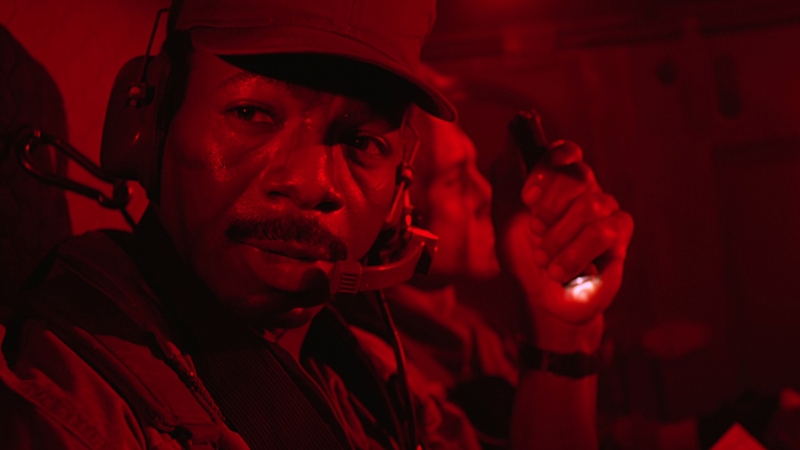 Stealthy assurances when tactically invading camps dissipate when staring down their chameleon-esque foe who is complacent amongst technologically coated armor – despite his glow stick blood. 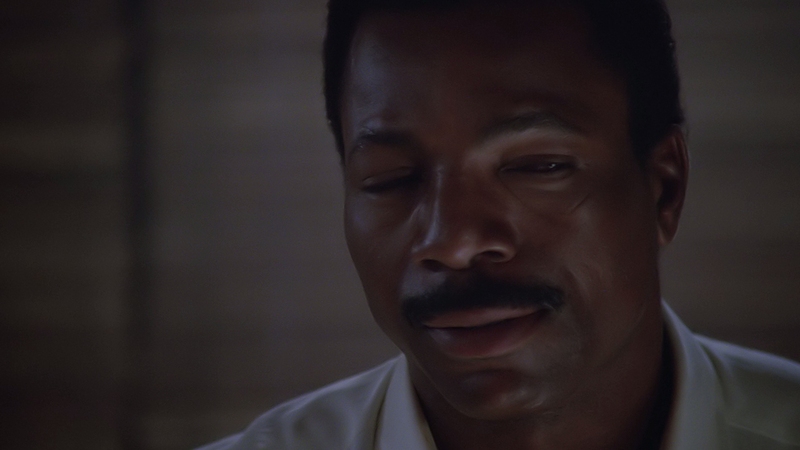 Kevin Peter Hall stomps around inside the fanged grin of this lone Predator warrior, dropped off from space for human skinning exercises. 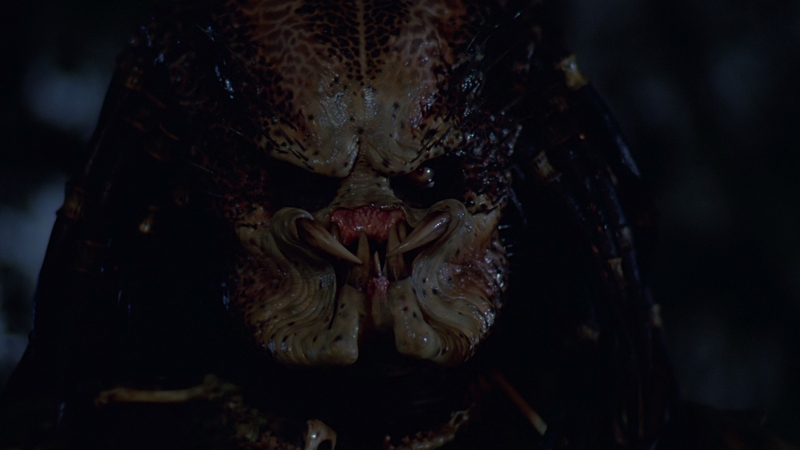 Stan Winston’s sharpened design work hits the film stock with imposing scale, smartly representative of the narrative’s necessities as it is an ample stand-in for versatile Vietnamese. 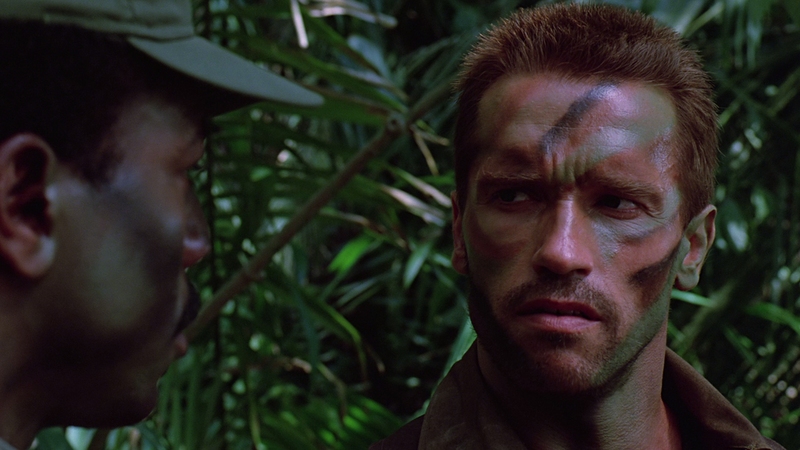 Of course, Predator is foremost an indestructible Schwarzenegger vehicle, casting the political Austrian for his mass and ability to shout, “Choppa.” This 1987 feature is as inarticulate as it is creatively passionate. 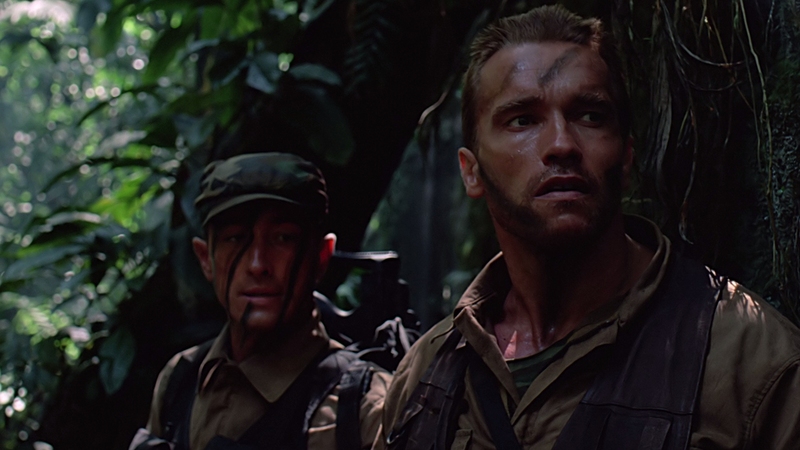 Alan Silvestri’s tingy score backs Arnold as he punches through sweltering forestry, proving uniquely blended in its alien electronics and trumpeting orchestrations; bold enough to accentuate brawn, eclectic enough to induce a foreign euphoria. Fox performs a re-issue of their famously controversial “Ultimate Hunter Edition” Blu-ray, deplorable in its smothering use of noise reduction. Age has improved nothing. Faces still appear caked on and only snippets of fidelity are allowed to pass. Without the streams of sweat which often define this piece, it’s likely none of the source’s texture would have survived. Jungle canopys are smeary, leaves becoming unrefined and dirty. 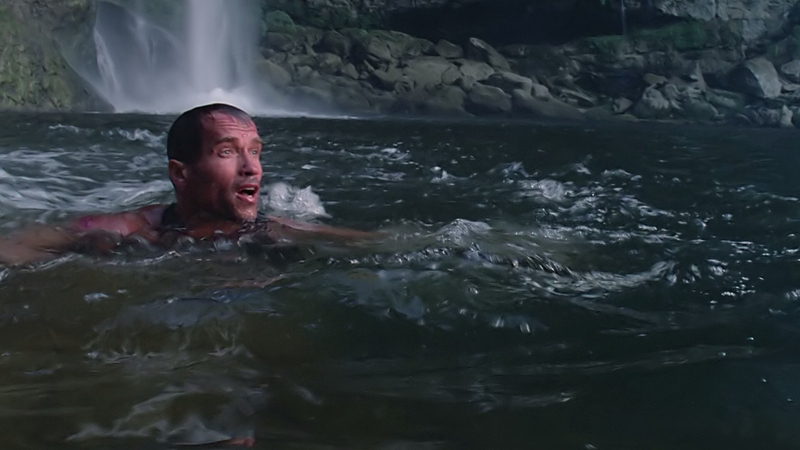 Shots attempting to produce thickened foliage are slaughtered by manipulation, a gross misuse of digital tools which competes with Universal’s earliest catalog discs for “worst of.” Arnold’s jump into water reveals an oily current, as if the liquid has been overrun by pollution. Black crush cannot hide these instances. 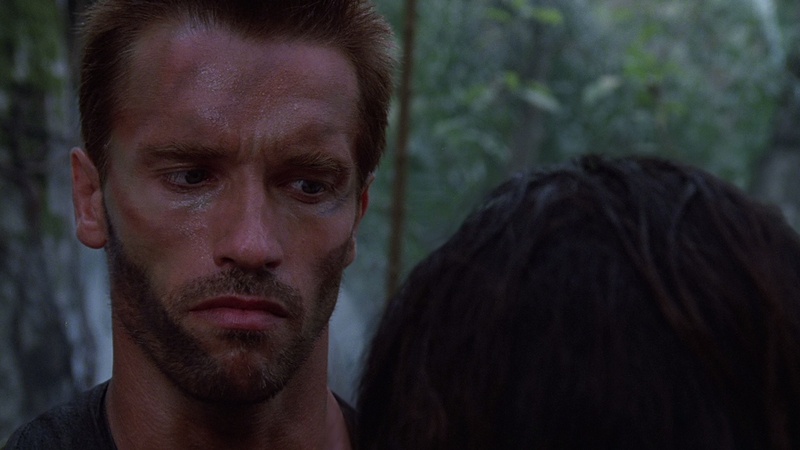 Definition is soured from the onset of Predator, losing all sense of film grain from this late ’80s action fest which used to deliver an essential sense of grittiness. Disappointing is Fox’s master which is in avoidance of damage and appears to depict adequate resolution in an “all for naught” scenario, yet turned into a festival of film stock spite. But, Fox is not here to take on additional flack over their mastering decisions. Instead, this do over is propped up by sometimes capable, sometimes not 3D. While jungle backdrops should boost depth, plants take a visually territorial approach. Leaves and trunks occupy specific spatial levels, flattened out and obviously boosted artificially. 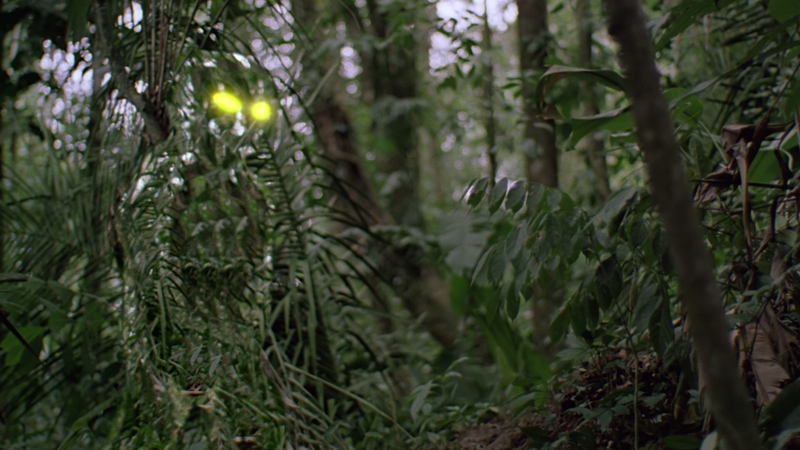 Deep into the frame 3D work appears to end, landing on a flat background, apparent as Mac begins his aimless stream of ammo into the jungle. Success are few if impressive. An opening peer into space pulls stars into the frame at various depth levels. Helicopter flight is nifty, and explosive debris (sparks or materials) are carefully processed by this conversion. Nothing can compensate for cinematography oblivious to the process though. Audio is copied in DTS-HD 5.1 from the previous release, cleaned up and pepped up to artificial levels, apparently to match the digitally graded video. Surrounds use notably brighter effects to create a soundstage, molesting the original audio if adding to its spread. Stereos appear functional and embedded as part of the original design. LFE is muddled and imprecise, but still graciously handles explosions with some power. 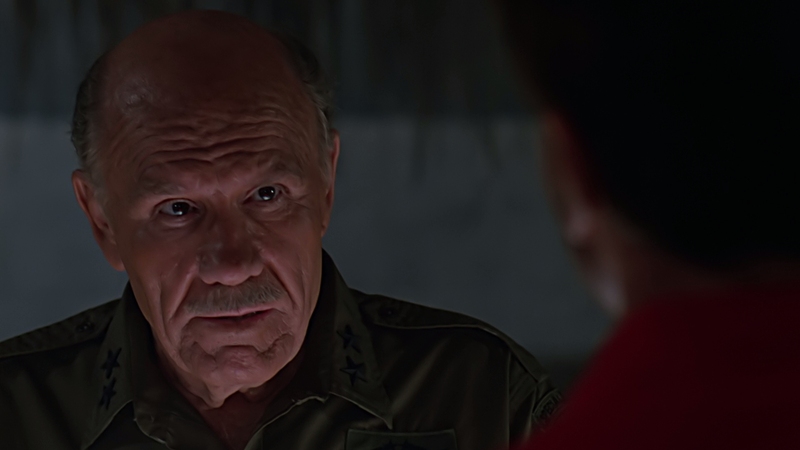 Dialog aging is notable, with a static backing forcibly intruding on clarity. Luckily, Silvestri’s superb score is left without damage markers, both high and low ends included. Each note carries into the soundstage thanks to natural bleed. 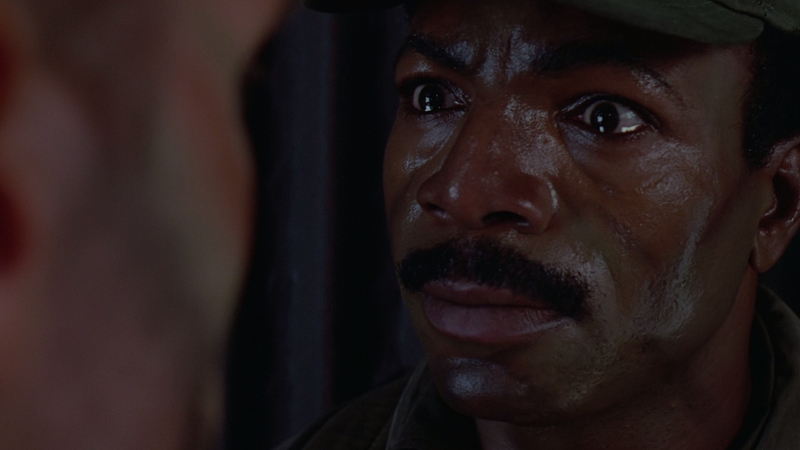 Predator 3D’s Blu-ray offers no extras. It’s not as if the disc is attempting to emulate Superbit quality either. 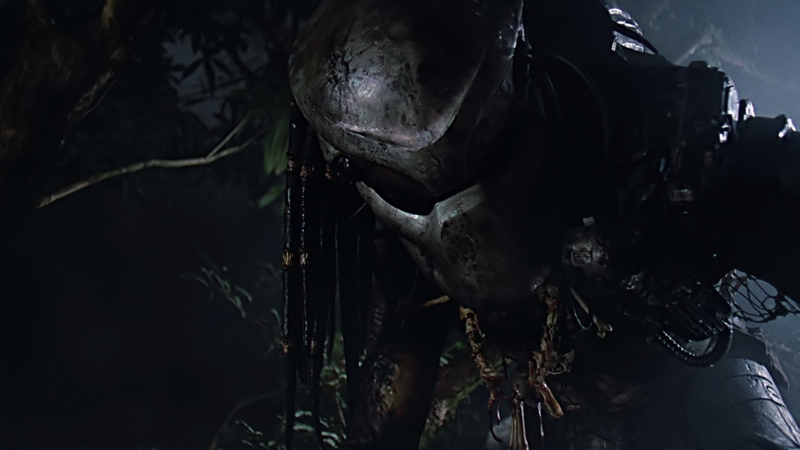 Instead, the DVD offered packs in a host of features, most of which made its way into the “Ultimate Hunter Edition,” but now excises promo material for Predators.